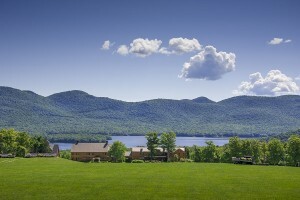 Mountain Top Inn & Resort is central Vermont’s premier 4-season destination spot. 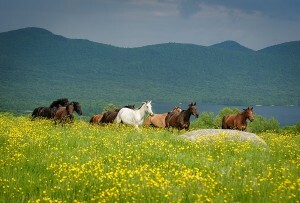 The resort is set on 700 acres, atop a mountain, just a short drive from Killington. 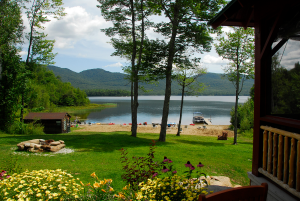 Sweeping views take-in gorgeous meadows, the Green Mountain Range and a pristine 740 acre lake. The resort offers exceptional accommodations from luxurious lodge rooms, suites and cabins to a wide variety of guest houses. Each room, cabin and guest house is unique in design. Many lodge rooms have spectacular lake and mountain views. All of the cabins offer a king bed, fireplace and kitchenette. Guest houses range greatly in size and style, accommodating 2 to 14 guests. Many have fireplaces and hot tubs and all can be reserved for short or long stays. The resort offers creative cuisine and 12 Vermont craft brews on tap in their tavern and dining room – both with spectacular mountain views. Summer months invite outdoor dining on the terrace. Common areas include spacious lobbies, a cozy porch, fire pits, beach, pool and meadows. The main lobby, dining room and tavern all feature fireplaces. 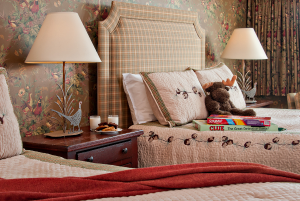 Stays include Vermont country breakfast, afternoon refreshments and a variety of seasonal resort activities such as heated outdoor pool, hot tub, private beach, canoes/kayaks/paddle boards, disc golf, fitness room, sauna, hiking, lawn games, tennis and volleyball. Nordic Ski & snowshoe trails passes (60 km of trails), ice skating passes and sledding are also included. 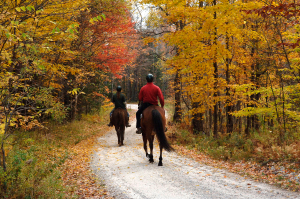 Additional activities such as spa & salon services, horseback riding, clay bird shooting, pontoon boat rides, snowmobile tours and snowshoe/ski & skating equipment rentals are available at an additional cost. Come for the view, stay for the experience.